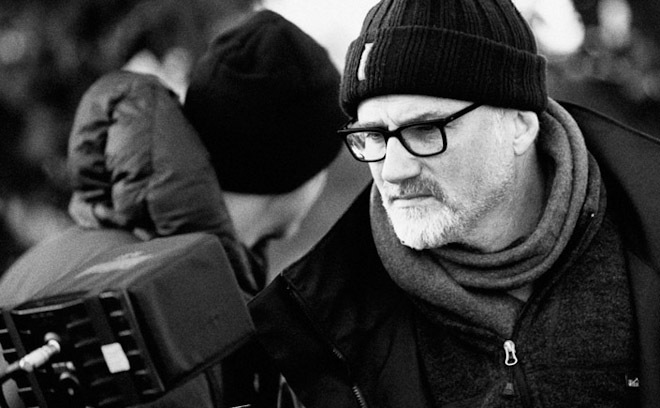 David Fincher is an American film and music video director. At age eight, David was inspired by Butch Cassidy and the Sundance Kid to pick up an 8mm camera and start making movies. His career began after high school with hands-on training, loading cameras at Korty Films. In 1983, he was hired by Industrial Light & Magic where he worked on productions for Twice Upon a Time, Star Wars: Episode VI – Return of the Jedi, and Indiana Jones and the Temple of Doom. In 1984, he left ILM to direct a commercial for the American Cancer Society showing a fetus smoking a cigarette, which quickly brought him to the attention of producers in Los Angeles. While directing spots for companies like Revlon, Converse, and Pepsi, David discovered music videos and went on to direct many himself. Set on a career in directing, he joined Propaganda Films, a hotbed for new directors to cut their teeth. His debut feature film was 1992’s Alien 3, which, though it received an Oscar nomination for special effects, was not well received. His sophomore effort, Se7en, established him as a new voice in film direction. Since then, he has become known for his dark and stylish thrillers including The Game, Fight Club, Panic Room, and Zodiac. David has received Academy Award nominations for Best Director for 2008’s The Curious Case of Benjamin Button and 2010’s The Social Network, which also earned him a Golden Globe and the BAFTA for Best Director. Need more Fincher? Read our in-depth interview!